Suresh Kumar is Partner and CIO, with Grant Thornton India, a leading International Management Consulting firm. Suresh is a seasoned IT Professional with engineering and management background. 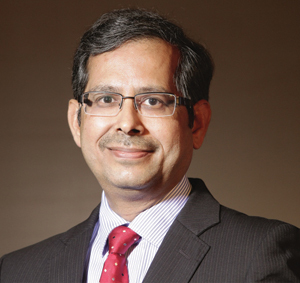 Prior to joining Grant Thornton, Suresh has worked withKPMG, NIIT Technologies, Microland and ET&T Ltd. He has strong experience of leading IT function of consulting firms and managing service delivery for IT companies. Suresh has industry experience in IT/ITeS, Manufacturing and Financial Services sectors. He has managed delivery of large Systems integration projects for clients in South East Asia and India, which included IT infrastructure, business applications, messaging, security and ERP. He has also led delivery of IT advisory projects involving information security audit, IT Strategy and Governance advisory, Business Continuity advisory and IT Project advisory.